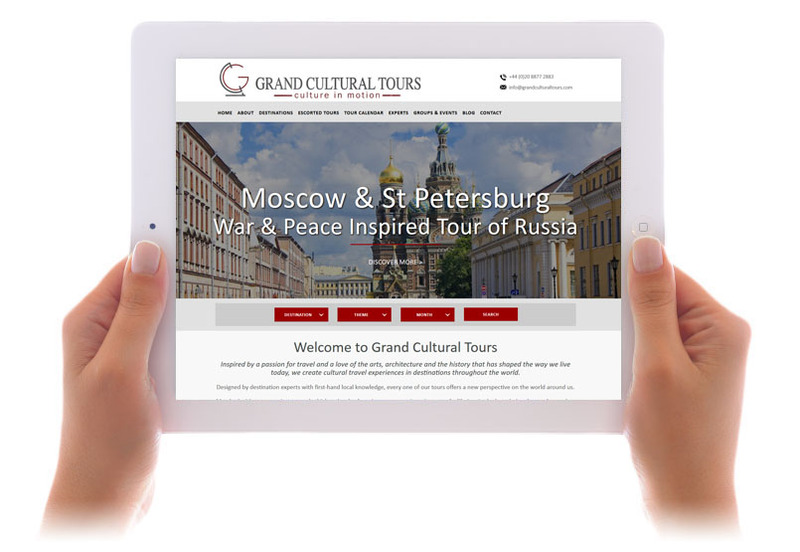 We’ve been working on the design and build of a site for the launch of Grand Cultural Tours (GCT). Users are able to search for tours by country, theme or date and make booking enquiries online. Full details of each tour are included, such as dates, costs, itineraries as well as a profile of the tour expert. The site is managed by our bespoke CMS, enabling GCT to manage the content of the whole site, including information pages, header images, as well as tour details, tour themes, date of travel and costs. We put together the design of the site and ensured it’s fully responsive, working across desktops, tablets and smartphones. Visit the site at www.grandculturaltours.com. This entry was posted in Uncategorized by Rob Caston on July 18, 2016. Bookmark the permalink.